Teikichi Hikoyama (1884-1957) was an influential artists in the development of Japanese American art. Born in Japan, Hikoyama resided in the San Francisco Bay Area from 1901-1933. During this period, his exceptional modernist ideas earned him the nickname “Black Flame” among his contemporaries. “Mt. Tamalpais” is inspired by the mountain peak of the same name in Marin County, CA. 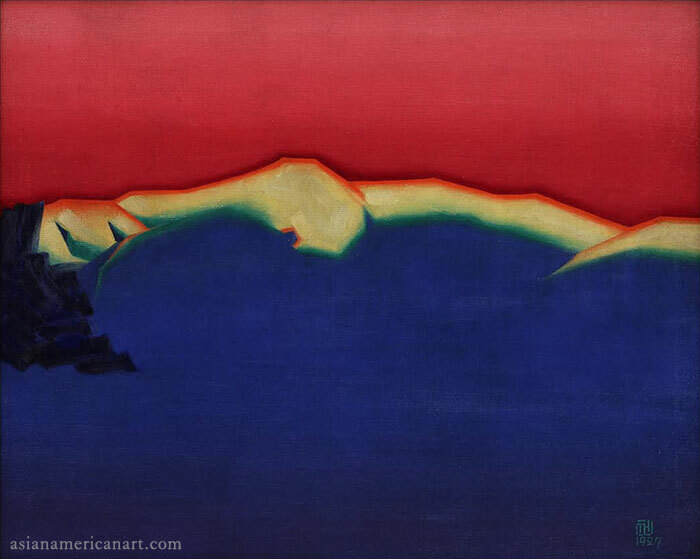 In this visionary piece, Hikoyama depicts the the Marin Hills Range as the side profile of a seductive female.